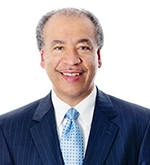 Dr. Willie M. Reed has served as a member of our board since March 2014. He has been the Dean of the College of Veterinary Medicine at Purdue University since 2007. Dr. Reed has more than 30 years of experience in animal health and veterinary medicine, gained during his tenure at Purdue University and Michigan State University, and as a Diplomate of the American College of Veterinary Pathologists and Charter Diplomate of the American College of Poultry Veterinarians. Dr. Reed has served as President of the Association of American Veterinary Medical Colleges (AAVMC), president of the American Association of Veterinary Laboratory Diagnosticians (AAVLD), president of the American Association of Avian Pathologists (AAAP) and chair of the American Veterinary Medical Association Council on Research. He has served on a number of committees for the National Institutes of Health and the United States Department of Agriculture. Dr. Reed earned a Doctor of Veterinary Medicine degree from Tuskegee University in 1978, and a Ph.D. in Veterinary Pathology from Purdue University in 1982. See Zoetis at a glance.